Booking accommodations for your travels can be the easiest, or the most challenging part of your planning process. From my own experience, this became significantly easier once I experienced and understood the different types of accommodations available. Nowadays, as far as accommodations go, I am reasonably open to different types of experiences, from homestays, to hotels, to hostels. Some travelers are loyal to one category, some feel that 5-star luxury hotels are the only options, others refuse to stay anywhere that doesn’t feel 100% authentic to location in which they are staying, others will stay wherever they can find the best deal. In the end, there is no right or wrong choice. Different travelers have different preferences, and this can be due to a variety of reasons. Personally, when it comes to my own trip planning, I make my decision based primarily on four items. In terms of price, I always have a maximum that I am willing to spend per night. Depending on the trip, or if there is a specific place I am determined to stay, this maximum may be a bit higher. But even THAT maximum has a maximum. Generally speaking, I would rather spend more on day-to-day excursions or activities during my trip than on the place I am staying. In certain occasions, you may want have the urge to splurge on higher quality accommodations, for example, a beach vacation where you know 80% of your time will be spent at your resort. But on other trips, specifically ones where you will be spending the entirety of your days out and exploring, it may be best to realize that your accommodations are just where you will be getting some shut eye before another full day of adventures. When it comes to location, you’ll generally notice that accommodations in or closer to a city central or attraction hub will be priced higher than those 25 minutes to an hour away. This is another item that comes down to preference. For myself, I generally prefer to be in the middle of the action. Not only does it minimize travel time but it usually also minimizes travel costs. Too often I hear from new travelers that they booked a cheap stay 45 minutes from where they planned to spend most of their time, only to later realize that they ended up spending even more going back and forth to their accommodations. I really stress playing with numbers and researching local transportation options before you book anything. On the other hand, choosing to stay further away from your focus point may give you the opportunity to check out a location you hadn’t originally planned to see. Last summer, during our trip to Ireland we spent part of our stay near the town of Tralee, a town you don’t typically see on many “must visit” lists. Preference is typically given to more popular locations such as Galway, Killarney, etc. But when we took the time to actually explore Tralee, we loved it! We still got the Irish city vibe you would get from the larger towns, minus the hoard of people! We even stumbled upon attractions that ended up making it onto our favorites list, for example, the Medieval Experience at the Kerry County Museum. My next deciding factor is geography. By geography I mean that, based on where exactly in the world I am visiting, I may have preference on where I’d like to stay. In Ireland, I knew I couldn’t leave without spending at least one night in a castle, but had also always dreamt of staying in a guesthouse above a pub. Both were different, and equally worth it. During my trip to Nicaragua, we spent the entire time in hostels. And while we passed a few nice looking Marriott’s complete with outstanding things like air conditioning, our stay wouldn’t have been the same had we gone the hotel route. Staying in a hostel added a little something extra to the experience, from being able to spend time getting to know the owners, to home-cooked meals everyday. It was authentic and perfect for that trip. While in Paris, I rented a studio off of Airbnb. Being greeted by the two kindest French women who spoke not a word of English, and being able to trek my way up flights of stairs after a long day of exploring and market shopping made me feel just like an authentic Parisian. Finally, quality plays a role in choosing an accommodation. While I don’t typically rely on ‘stars’ to determine the quality of location, I will scroll through reviews on Tripadvisor to see if other travelers had a good experience during their stay. I get it, the amount of available accommodations can seem overwhelming especially when you’re visiting a place you aren’t too familiar with. Being able to narrow down your options helps tremendously and also helps you find out figure out what makes you comfortable and what will make your trip one to remember. Found this post helpful? Pin it on Pinterest for future reference! I use a similar criteria when I’m looking for places to stay! And I’m so jealous that you got to stay in a castle in Ireland!! Hahahaha The maximum MAXIMUM! We do that too. Sometimes there’s somewhere you just really want to stay! Exactly! lol Typically, I’d rather pay more into excursions than accommodations but certain accommodations are worth checking off the bucket list in themselves! 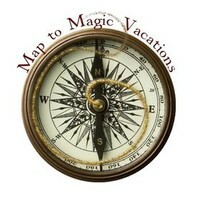 Charting the Path to Your Magical Vacation!